Tribalist Edwin Sakala seems set to spoil the dialogue being spearheaded by the Commonwealth in Zambia. Sakala who heads a pro-PF party has now written to the Commonwealth delegation leader of the talks in which he accuses the organisation of promoting one, tribe. Edwin the brother to Richard Sakala of the Daily Nation also alleges that the Commonwealth wants to push for the inclusion of Hakainde Hichilema into President Lungu’s government. On behalf of the political parties alliance called the Nationalist Opposition Alliance-NOA I wish to thank you and indeed the Commonwealth for intervening in the political affairs of Zambia. This has helped our parties to realize the need and urgency for us not to leave the future of our country to the foreign funded organization and people who have questionable sources of money. Politics in Zambia maybe so commercialized that our parties are overshadowed by those with money to buy and hire supporters but the truth is that these are “Baby” parties born yesterday with no political history. They main interest is money and power while we are driven by a higher spirit of nationalism and patriotism. NOA is made up of political parties which have been there from the so called Kaunda days – We love our country Zambia and are ready to risk our lives for a better future of our children. 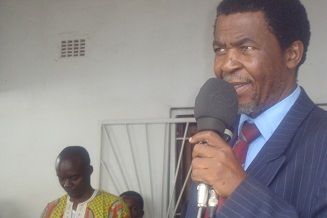 Our writing is not only to thank you for helping us realize the danger facing our country at the hands of foreign power but also to let you know that your idea of holding a PF/ UPND dialogue meeting to make President Lungu consider including UPND president Hakainde Hichilema in his government is not a solution to what you perceive as a crisis in Zambia. As NOA we have the only solution to the problem of tribalism in Zambia. In any future election we are definitely going to have many sits parliament because our agenda of adopting a FEDERAL SYSTEM of governance is what the people of Zambia want now. We are on the ground and receiving massive support from traditional leaders and Zambians of good will who also want each one of the ten province of Zambia to govern themselves as autonomous state. This will bring political harmony because each one of the 74 tribes will have participate in running the nation unlike the current situation where the Commonwealth is trying to help one tribe dominate the other 72. It a pity that you seem not to realize that the majority of Zambians and indeed NOA parties are backing the Patriotic Front because its leader shares a common and broader belief in the Christian God and also because he was brought up on the Copper belt where tribe does not matter. Other political parties carry a tribal tag. As you carry out your mission in Zambia please bear in mind that we as NOA are the only alternative and even potential next government of Zambia because the majority of Zambians are fed up with the current primitive politics of wasting time and energy on bickering. We may not participate in your programs in Zambia but please know that the Commonwealth is misfiring in Zambia. NOA holds the future of the country. We shall be holding our meeting before you come so that you can see for yourself that Zambia has many parties which have been overshadowed by those using money to create a picture of popularity. ZDDM President and NOA Chairman.